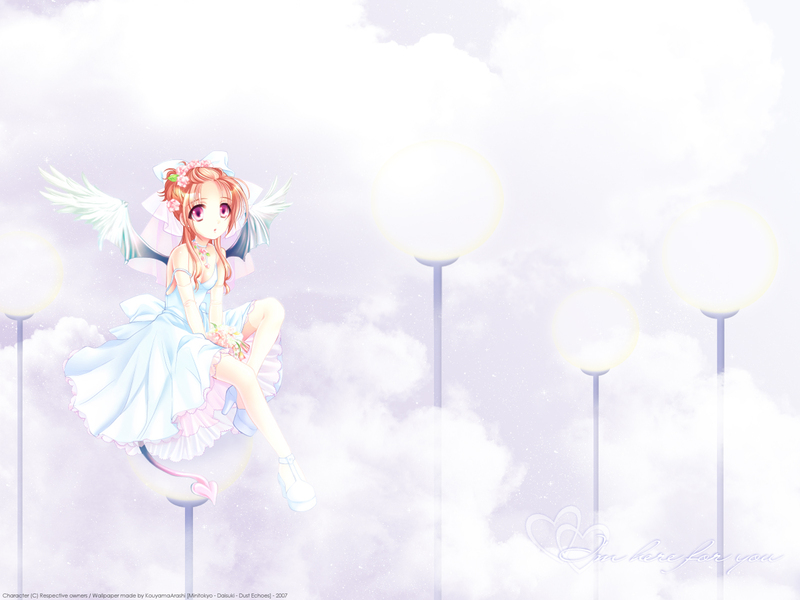 The background looks weel done and the color match so well with the angel! Oh, very very cute! Loved the scan! Kawaii! Beautiful wallie and nice bg! This wallpaper is awesome. I love it.